with the 1200 reports. The OOD retains the copy. and the potable fresh water in the potable water tanks. checked for accuracy by his or her leading petty officer. engineer officer for his or her approval and signature. also in the appropriate sections of these logs or records. 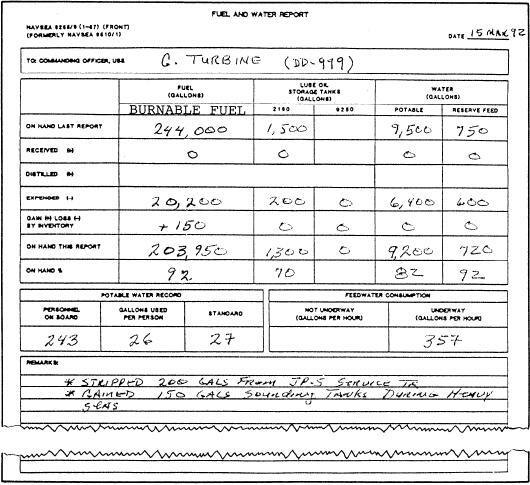 Figure 1-18.--Fuel and Water Report.